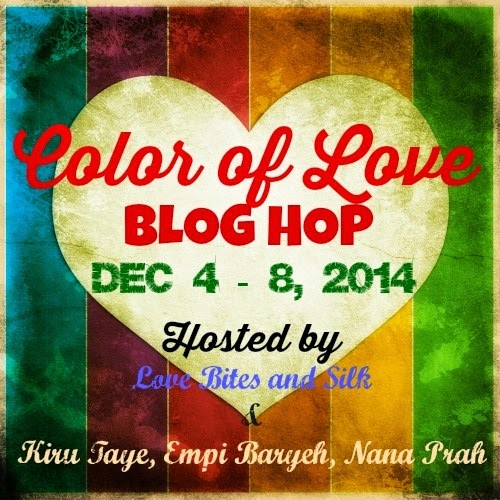 It's that time of the year again; the second annual Color Of Love Blog Hop. Why do we authors write about colour and culture? Why do readers dig this so much? I can tell you about why I use colour to spice up my works. For, you see, when I started writing a decade ago, there was one little piece of advice that was taken as gospel at the time: write what you know. As my bio already states, I grew up on a fence - one side had the modern world where everyone was equals, and the other had the maelstrom of the Indian and Muslim cultures of my ancestors who left India in the late 1800s to come settle on this small island I call home, Mauritius. So I knew all about being a modern girl brought up amongst the confines of tradition and social mores, with cultural expectations piled up on me, all while I tried to break free to be 'like everybody else'. So I started writing about what I knew; this reality I was privy to, but that girls of Indian origin the world over would totally 'get' because they faced the same barrage of old, nagging aunties trying to marry them off the minute they turned eighteen; or that you have to produce a baby, preferably male, within the first year of your marriage or otherwise be spoken about in hushed whispers as probably being barren. There's the race to be 'the fairest of them all', because fair skin is so prized among us girls with brown skin - one of the first things any mama looking for a bride for her son does is to ask the family and acquaintances to look for a girl with fair skin. This is my world, and yes, it does sound like it holds every cliche of Indian culture in there (we don't break into song like in Bollywood movies, though). However, it is my reality, and the one I wanted to share with the rest of the world. Girls of the Indian diaspora like me find themselves in my tales, and people from other races and cultures get a window into the world I grew up in. Mind, I also dispel some of the myths - for example, never mind that the mama is looking for a fair-skinned bride; the suitable boy in question might be looking for dusky skin as that's his 'type'. And all of us Indian girls are not pliable, self-servient, & dutiful daughters who just bow to all the conventions laid down on us...nor are we all utter rebels who brandish the banner of anarchy and tear ourselves from our roots! Culture represents our roots...but it is up to us to spread our branches and reach for the sky, without losing sight of where we come from. My heroines reflect this stand - my stand - and their journeys to find love depict this quest to find their place in the sunlight, all without losing their roots. You can find more about my stories here, and then there's one of my books in the giveaways, The Other Side, my very first book and cultural dramatic comedy. And you can win another of my multicultural titles here itself! Scroll down for this opp! Don't forget there are tons of prizes to be won in this hop! Here's a glimpse! Enter the giveaway for more chances to win! Catch all the other participants in this hop! 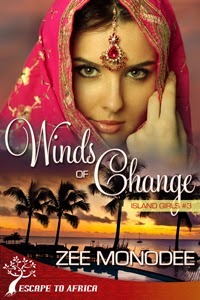 And comment on this post to win a copy of 1 of my 2 1NightStand multicultural romances (winner's choice)! Answer this question in the comments to enter my draw. I'm eager to read your answers! What is it about colour and culture that draws you in? You have the most amazing life Zee, and it reflects in your awesome writing. 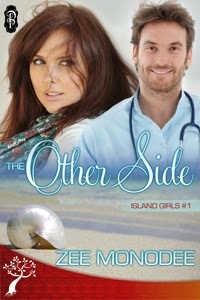 By the way everyone, I've read all three of The Island Girls books and loved them all. She transported me to her little Island. And this is what I love most about reading multicultural book. I like learning about cultures that are different than my own.